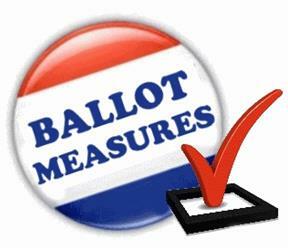 LOS ANGELES – In addition to rejecting a repeal of the state’s year-old gas tax hikes and a proposal to allow local rent-control measures, California voters gave mixed results to nine other statewide ballot questions, ranging from housing bonds to animal cages. — Voters on Tuesday approved Proposition 1, a $4 billion bond measure to fund housing programs benefiting low-income residents and veterans. The measure will earmark $1.5 billion for multi-family housing for low-income Californians, along with $1 billion to help veterans purchase homes or farms. It will also provide $450 million for “infill” and transit-oriented projects, $300 million for farmworker housing and $300 million for manufactured and mobile homes. According to the state, the bond issue will cost roughly $170 million annually for 35 years. — Proposition 2 passed easily, with voters authorizing the sale of $2 billion in bonds, repaid with funds from the 2004 Mental Health Services Act, to provide housing and mental health services for the homeless. — Voters rejected Proposition 3, a nearly $8.9 billion bond measure aimed at funding a variety of water projects. The measure would have bankrolled projects targeting water quality, water delivery, groundwater storage, fish and wildlife habitats and dam and reservoir repair. According to the state, the bonds would have cost about $430 million annually over the next 40 years to repay. — Proposition 4 earned strong support from voters. The measure authorizes $1.5 billion in bonds to fund construction, expansion and equipment for children’s hospitals across the state, including Children’s Hospital Los Angeles, Children’s Hospital of Orange County, Miller Children’s Hospital in Long Beach and Rady Children’s Hospital in San Diego. Funds will also be provided to children’s hospitals at University of California medical campuses, including UCLA, UC Irvine and UC San Diego. The repayment cost is estimated at $80 million annually for 35 years. — Proposition 5 got a clear thumbs down from voters. The measure proposed an extension of property tax relief measures to homeowners who are severely disabled or aged 55 or older, eliminating the so-called “moving penalty” incurred when people move into a new home. — Proposition 7 was endorsed by voters, allowing the state Legislature, on a two-thirds vote, to opt out of Daylight Saving Time, or to make it permanent, eliminating the need for Californians to change their clocks twice a year. Proponents called it a health measure, saying the time change disrupts sleep and raises the risk of heart attack and stroke. But opponents claimed it will put the state “out of sync” with most of the nation. — Voters rejected Proposition 8, which would have limited the amount kidney dialysis clinics can charge patients by restricting the charges primarily to direct patient care and quality improvements. It would have also required clinics to rebate money it collects in a given year over a specified cap. Proponents claimed some clinics wildly overcharge patients without investing in quality care, putting patients’ health at risk. Opponents, however, claimed the measure’s financial restrictions would have forced community dialysis clinics to close, making it more difficult for patients to undergo treatment or forcing them to go to hospital emergency rooms. — Proposition 11 cruised to approval and will require private ambulance crews to remain on call to respond to emergencies even while they are on legally required meal or rest breaks. Backers of the measure said it will ensure the fastest response to emergency calls by ensuring the closest crew responds, even if the crew is on break at the time. Opponents said that by eliminating breaks, the measure will result in over-worked crews that won’t be fully effective when they respond to calls. — Proposition 12 was also approved and will mandate specific size requirements for cages or pens that house egg-laying hens, breeding pigs or veal calves. It will also require egg-laying hens to be raised in a cage-free environment beginning in 2022. Proponents called the measure a simple issue of preventing animal cruelty by ensuring the animals are not penned in overly restrictive cages. Opponents claimed the measure doesn’t add any new protection for animals beyond what voters approved a decade ago, and actually delays for seven years the cage-free requirement that voters already approved.